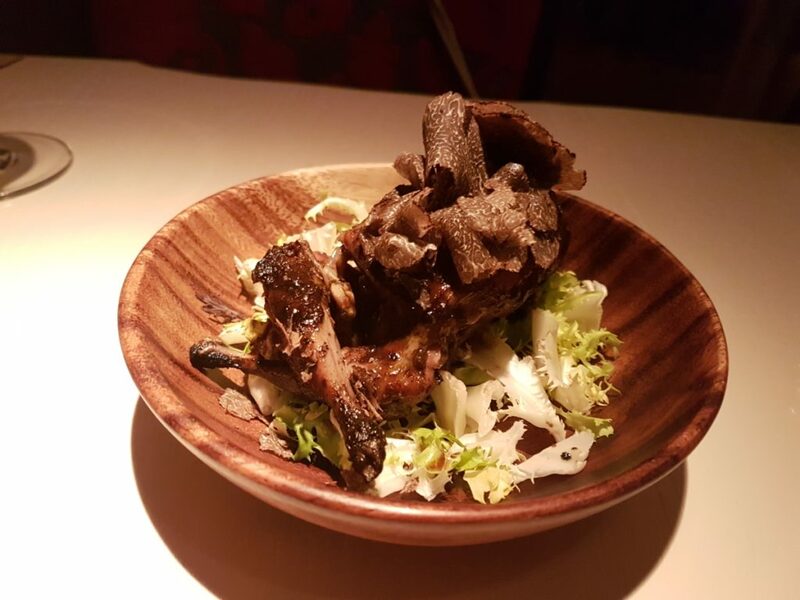 Having seen an interesting corollary unfold on the plates during my meal at Mère Brazier relating to my visit to Singapore’s Les Amis, I wondered whether I might be able to pull of the trick a second time. This time it was the other way round to see how a Peruvian meal in France might relate to one of the meals I had in Peru, perhaps at IK, that showed much in the way of classic French technique. Lyon’s Miraflores was the restaurant in question. It shares the name with the neighbourhood where I stayed during my time in Lima. 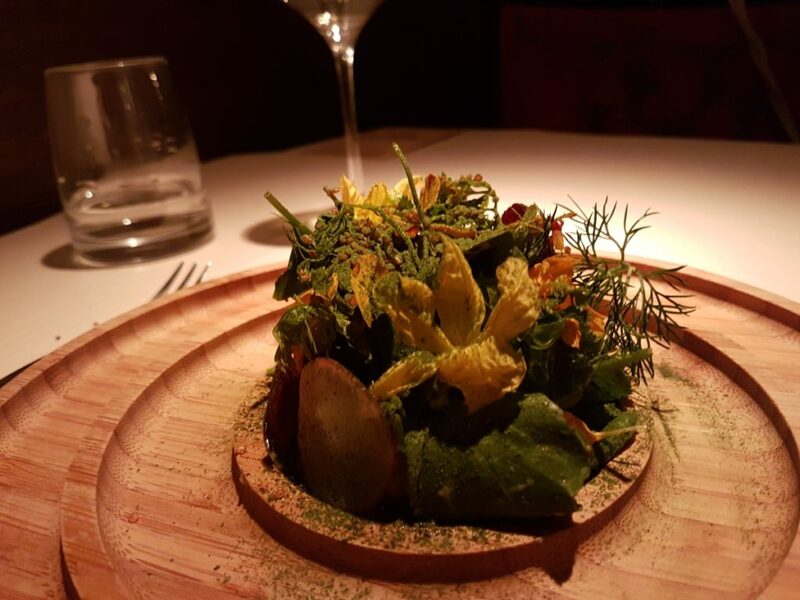 The restaurant holds 1 Michelin star. Service was friendly and extremely helpful throughout what was a quiet Wednesday evening service. Things started with a pisco sour and fresh brioche with a butter made from a blend of sources including a native Peruvian oil. 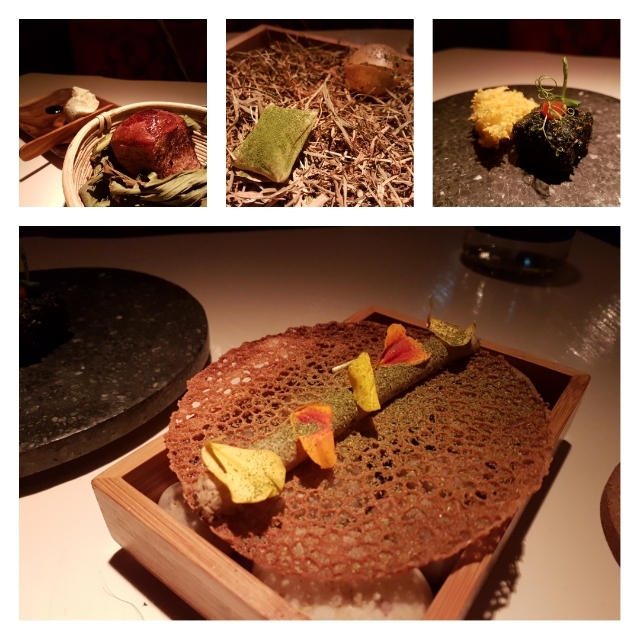 We followed with some snacks which comprised a lacy cheese wafer and foie gras, corn bread with spicy ketchup, and a light and airy savoury sponge. These were very pleasant. Two more snacks then followed with a delicate sphere in the style of a panipuri filled with air dried alpaca meat, then a little crisp cushion filled with huacatay, a type of black mint. The outstanding dish of the evening then arrived with an incredible little fresh and herby salad topping beans and a herb paste. It was exceptional stuff. We then had a classic ceviche with signature tiger’s milk sauce. The fish was red tuna which worked very well in this highly accomplished dish. 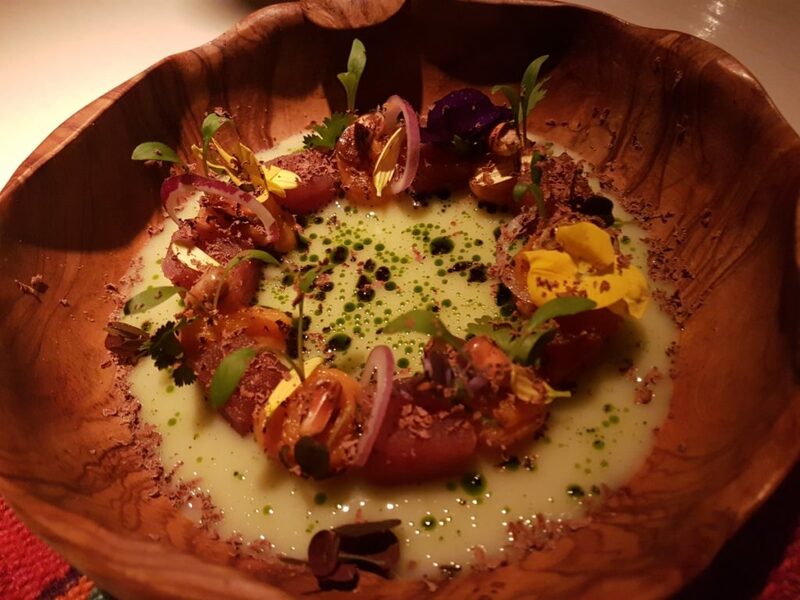 Next we had an quick exploration of Nikkei style, where Peruvian food has crossed over with their significant Japanese population to create an interesting and well-embedded fusion cuisine. 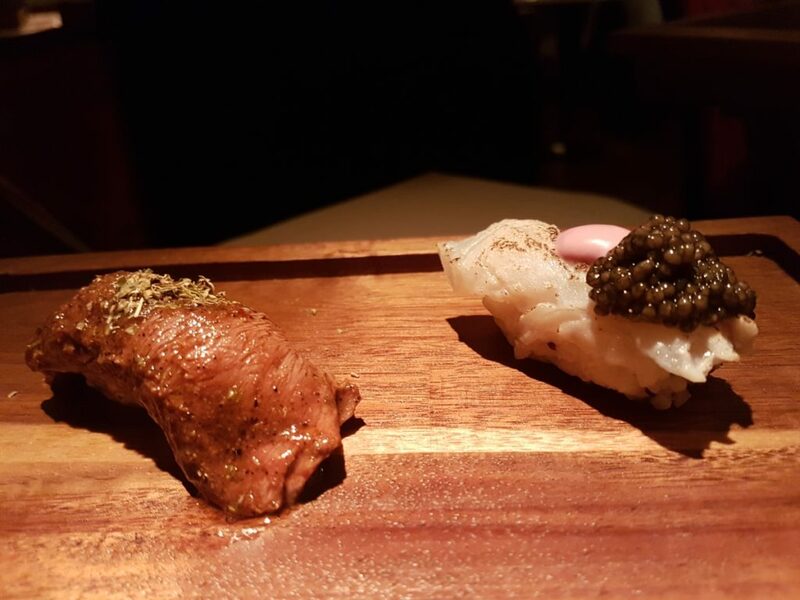 We had two pieces of nigiri, one with white fish, the other with beef heart, both of which were very tasty. We rounded out the savoury courses with a tripartite dish of truffled quail, quinoa porridge with quail reduction and layered sauces of tamarind and fresh herbs. This was familiar and comforting fare. 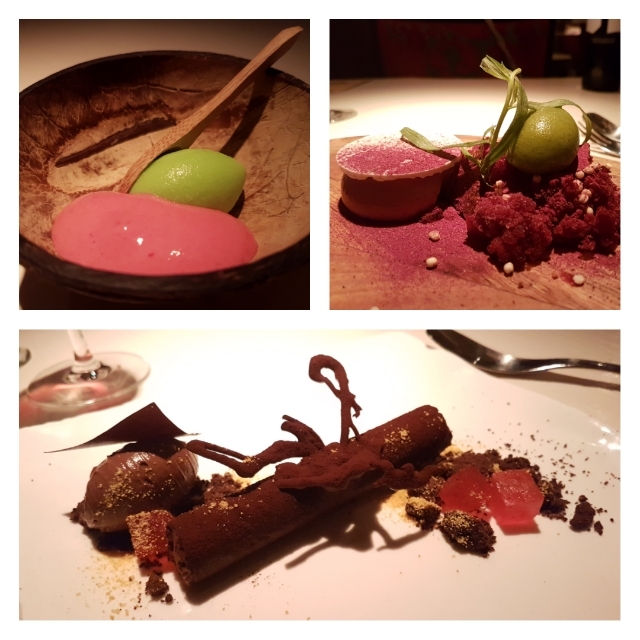 Desserts followed with some fresh, palate cleansing sorbets, then a more complex dish of beet granita, followed finally by textures of chocolate with chilli jelly. On the latter, the tempering of the chocolate felt at little off but the dish was still very good. Throughout, drink pairings were interesting and well-considered. There was highly intriguing local French saké, and the nigiri came with a both a classic Argentinian malbec for the beef heart and a Chilean carmenere for the fish. Overall, Miraflores served me a very charming dinner that took me back to my time in Lima but still felt distinctly fresh and innovative, reflecting the indredients available in the local context. 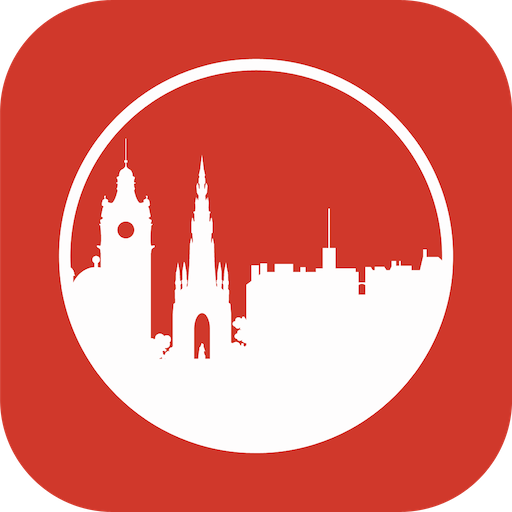 They are doing a very good job in ensuring that fine dining in Lyon extends beyond the classic French style which is always a good thing. Consider visiting next time you’re in Lyon.